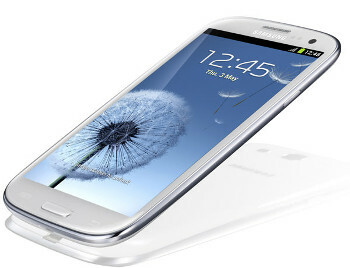 I just bought a new Samsung SIII mobile phone this weekend. It’s the first phone I’ve bought for about five years. My previous phones were Palms and more recently I was given an iPhone 3 as a cast-off from a friend. It was the most rubbish phone I’ve had for a long time and couldn’t wait to get rid of it. Samsung S3My son, Emmet, is a long-time supporter of iPhones and when they came out first, he got me to buy four of them for him in New York. He sold three at a profit, so he got a free iPhone. Now, he has emigrated to Canada and the first thing he did was buy an iPhone 4S. When I was talking to him on Skype at the weekend, I told him that I bought the Samsung SIII and he was seriously impressed. He told me all about its quadcore processor, its buddy share, S beam, 4.8 HD AMOLED screen, voice recognition and so on. That was the seal of approval for my new phone. Now all I have to do is to figure out how to work it. That seems to tie in with the market results. When the numbers for the quarter ending 30th June are finalised, Samsung will have sold 50 million smartphones, compared to Apple's 30.5 million, Reuters reported. Nielsen has reported that 52% of US smartphone users own Android phones, while 34.3% have iPhones. It seems that the release of the SIII has brought Samsung from being neck and neck with Apple to leadership position and this is confirmed by IDC analyst Francisco Jeronimo when he said that he expected Samsung to be the smartphone hero for 2012. Nokia have not been doing too well in this market and Reuters have said that Samsung passed them out by 15.7 million smartphones in the quarter ending June 2012. In saying all that, Apple is fighting patent lawsuits around the globe against its competitors including Google Inc., HTC Corp. (2498) and Samsung as it competes for dominance of the smartphone and tablet computer markets. The firms have accused each other of copying designs and technology in their mobile devices. Legal battles about the similarity of Samsung and Apple tablets are being fought in Germany, the Netherlands and the U.S.
“Not as cool” is how Judge Colin Birss in the UK described the Samsung tablet compared to the iPad when he ruled that Apple has to post an article on Apple’s U.K. home page for six months and also publish it in several newspapers and magazines to correct any impression that the South Korea-based company was copying Apple’s product. In essence, that means that Apple have to advertise Samsung on its own website for six months. This is bad news. Why? Because no company wants to directly refer to a rival on its own website. The ruling said the notices must make reference to the court case and should be designed to "correct the damaging impression" that Samsung's tablets had copied the look of Apple's products. As of today, 12/07/12, Apple has not commented on the judgment. Keep a look for more court rulings on Apple Vs the World!